Wow, week three is already over and we're moving closer to the finish line! Can you believe Christmas is this week? I am such a Christmas addict, but I must admit that I haven't been my usual over-the-top self this year. All of my focus always goes to my Tibial Plateau Fracture and getting better, but things are starting to look up. I feel some improvement and I've been seeing progress. And I'm learning to focus on those small things because they each add up! Now that Christmas is almost here, I'm finally feeling that cheer. And boy, how I've missed this feeling! 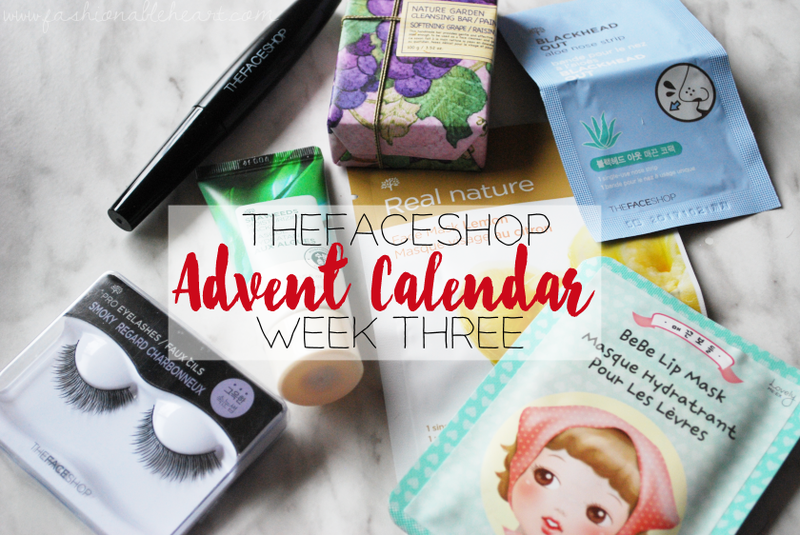 Now for Days 15-21 of my THEFACESHOP Advent calendar! To see what I got in the first two weeks, click here and here. In the new year, I will provide reviews of some of the products as I try them. That gives me time to try them in a not-so-rushed manner! 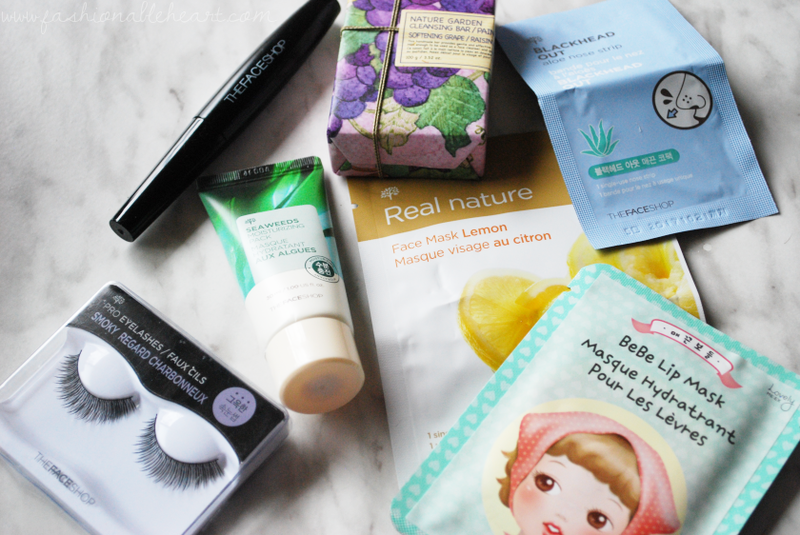 THEFACESHOP brand is new to me, so this calendar has been extra exciting and opened my eyes to products that I didn't even know existed.